Home › Economic & Financial News › Spain’s Woes…. Economists are well aware that Spain will be next to seek a bailout, however it still remains unclear when they will need the funds and the levels of funds they would need. With Spain’s economy being the twelfth largest worldwide and the fifth largest in the European Union, as well as the Eurozone’s fourth largest, it would suggest that Madrid would be seeking a multi-billion Euro bailout for its banks and possibly for the state itself. Spain’s Prime Minister Mariano Rajoy has repeatedly said Spain doesn’t need or want a bailout, and is trying to convince investors that Spain’s finances are under control after his refusal last month to meet deficit targets set by the European Commission. Economists refuse to agree, and believe that Spanish banks will eventually have to turn to the Eurozone’s rescue fund – the European Financial Stability Facility (EFSF) – to cover losses caused by a property crash which is still ongoing! 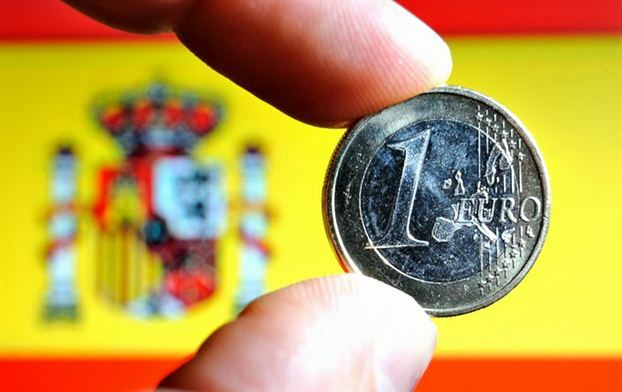 According to the Bank of Spain, levels of non-performing loans were at 8.16% in February, compared to 7.91% in January, as an additional 3.8 billion Euros of loan went bad in February. This is a 110% increase on a year on year basis, the highest level since 1994 and from less than 1% in 2007! This brings the total credit in the economy which the regulator lists as “doubtful” to 143.8 billion Euros. Investors are fretting about the capability of Rajoy’s centre-right government to enforce deep austerity whilst reviving a recession-bound economy which has “one out of five” unemployed. Defaults are continuing to rise and credit is steadily shrinking at a record pace, which reduces the quality of loans built up in the country’s credit boom and weakens the need for banks to produce new ones. Due to doubts on the high level of non-performing loans being held by the banks, financial stocks are taking a hit and costs on supporting lenders are driving up the government’s borrowing costs as investors are concerned this may add to the debt burden. In the past week we have seen the markets reacting to fears about the Eurozone’s fourth largest economy. Yields on 10-year bonds, which reflect the risk investors attach to owning Spanish debt, have risen to over 6%, a level that has proved a trigger point for other troubled Eurozone countries. However, economists believe that Spain will be able to hold out for some time and are not in need of immediate funding, though they will eventually need EFSF money to recapitalize their banking sector. Interestingly, Eurozone leaders are in same view as Rajoy and believe that Spain is incomparable to other Eurozone countries which are already in bailout programmes. Jean-Claude Junker, who chairs the Eurogroup of Eurozone finance ministers, believes that Spain is taking necessary steps to get back on track, despite being in recession and having unemployment at 24%. German Finance Minister Wolfgang Schaeuble mentioned that fundamental data in Spain is not comparable to those that are in a bailout plan and that Spain will need to work to win confidence if positive developments are to continue. Some believe that the four-month-old government may have just started to knuckle down to meeting the new targets which includes deeply unpopular austerity and tackling the economy’s structural problems. However, others beg to differ and fear Spain will drag in Italy, which has suffered similar problems with rising borrowing costs. I can’t see the Eurozone getting through this. To be honest, I think the whole world is pretty screwed and I think its just time before things get worse! Thanks for the story Stuart Yeomans, keep them up! Thanks for the story Stuart Yeomans!